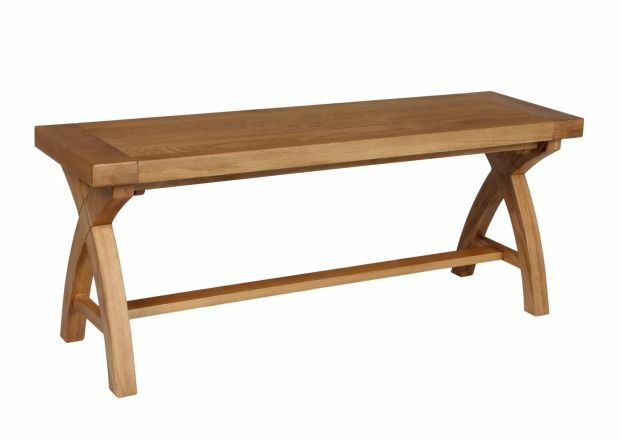 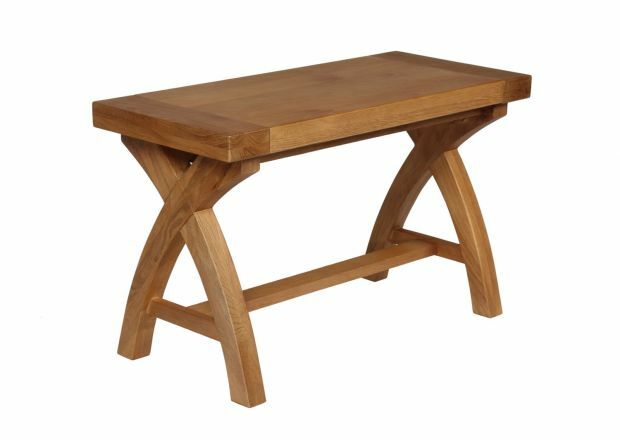 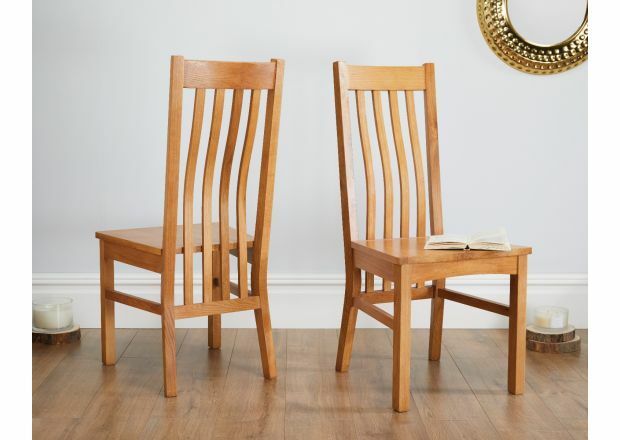 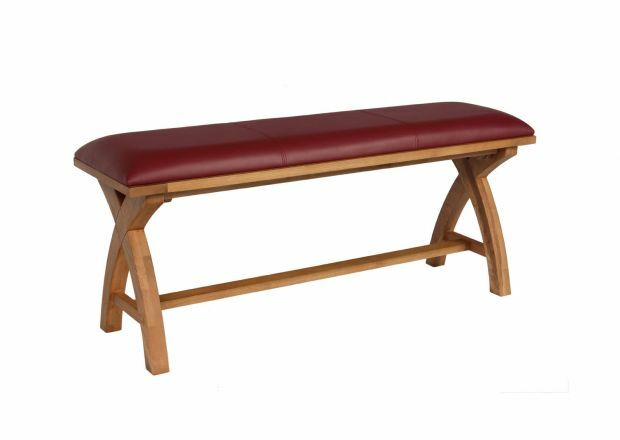 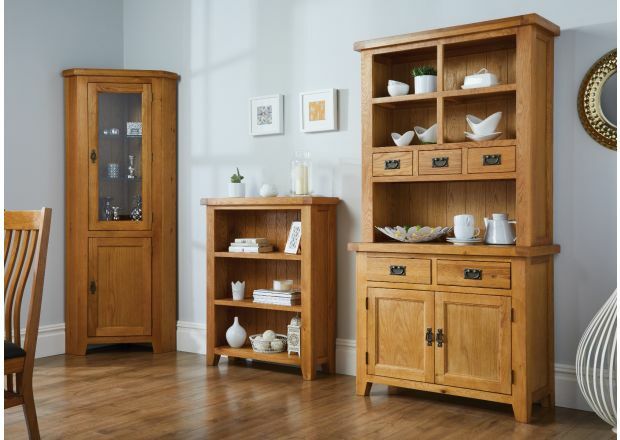 If you’re looking for an even better deal on your oak furniture, take a look at our clearance line and find the perfect piece of furniture before it disappears. 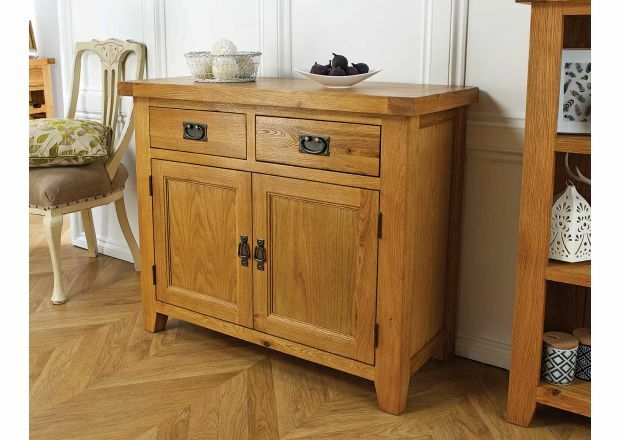 For the latest quality furniture for the whole house, look no further. 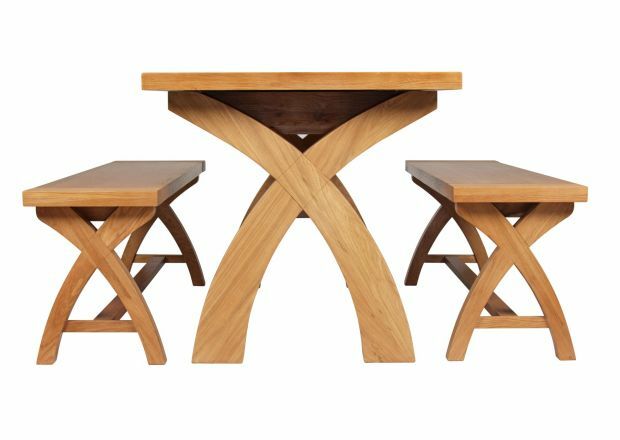 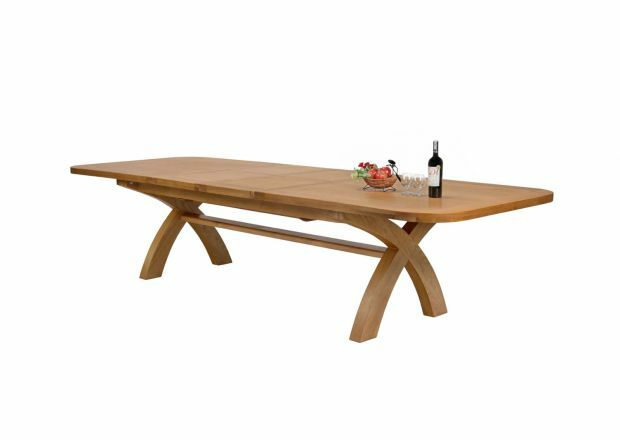 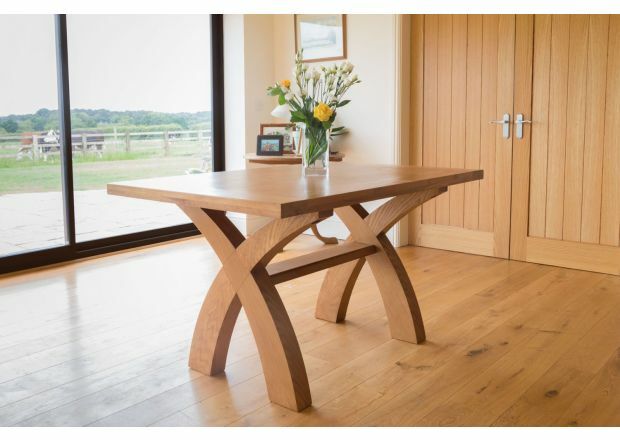 Here at Top Furniture we have sourced a range of stunning oak furniture for the home which strikes the perfect balance between exceptional quality and amazing value for money. 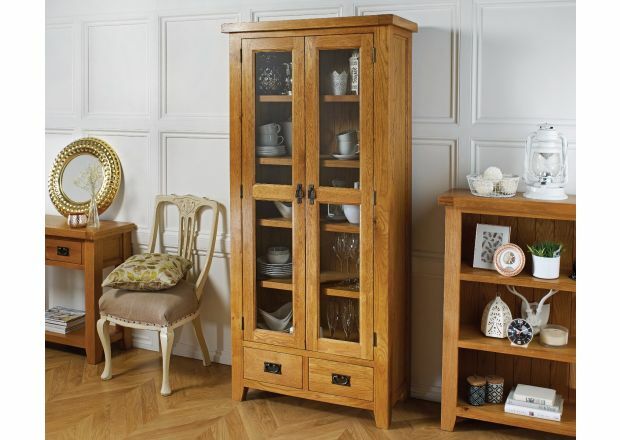 Our selection of discounted furniture is a great opportunity to get your hands on some gorgeous furniture at an exclusive price. 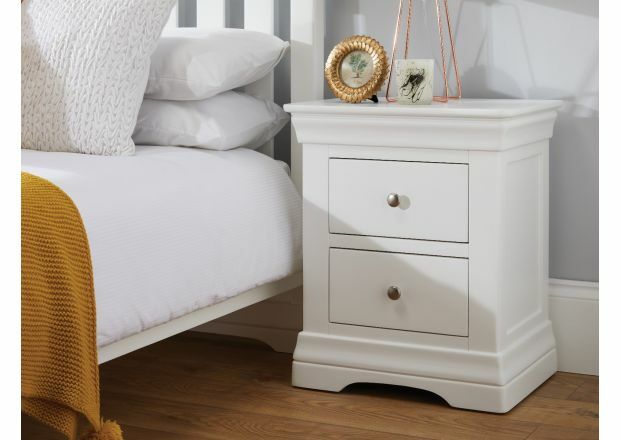 These discounted pieces are usually at the end of their line, and once we sell the last one it is unlikely that we will be stocking more - so if you see something you love, snap it up before it vanishes! 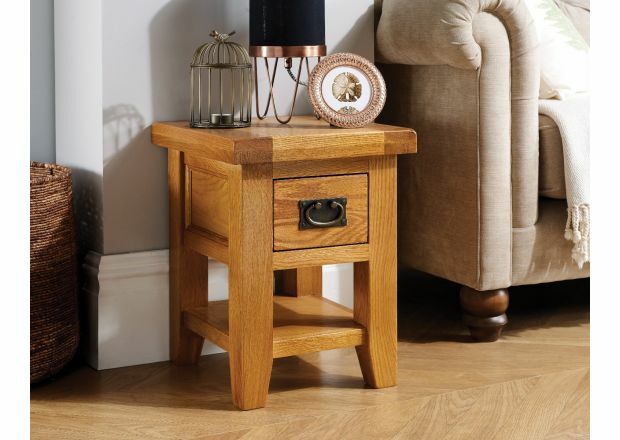 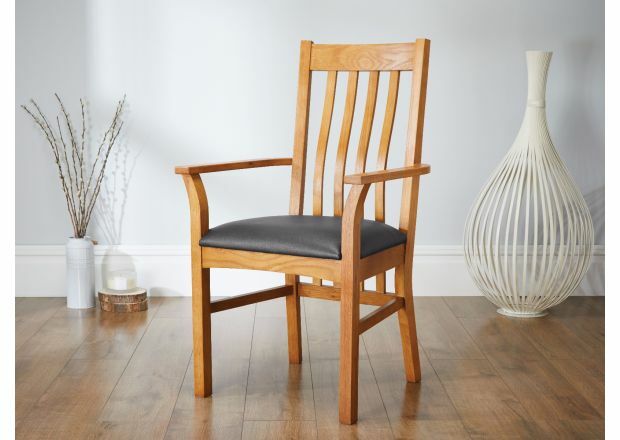 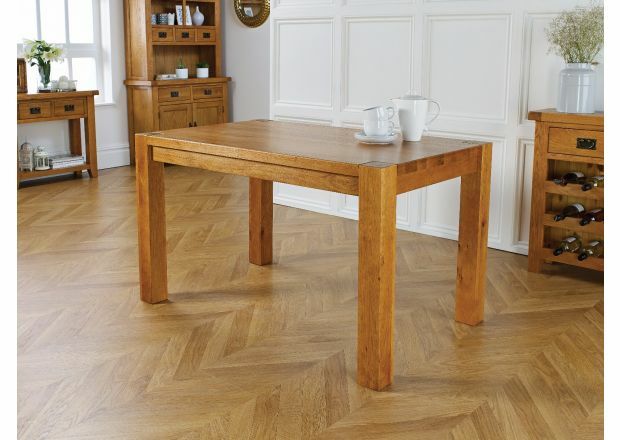 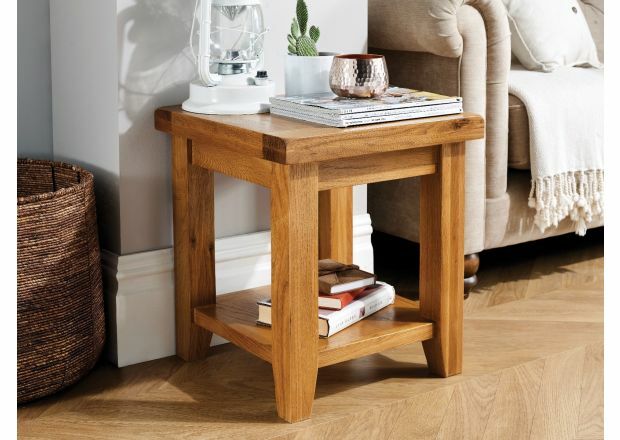 We have heavily discounted solid oak furniture in our clearance line that is simply perfect for both traditional and contemporary interior home design styles, so whatever your decor preferences you will find just the thing. 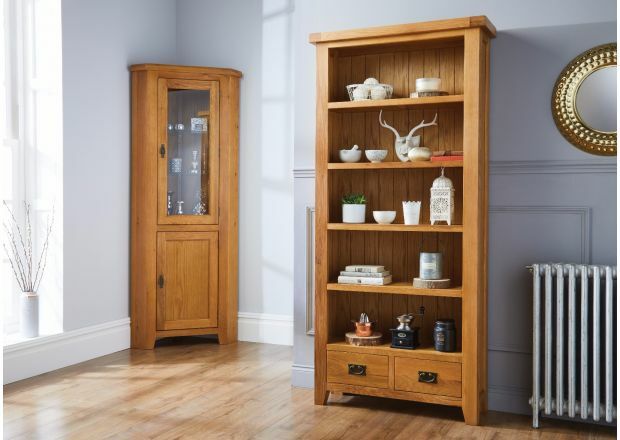 Whether you are looking for a single item to complete a room or replace an old piece that has come to the end of its life or are furnishing a new home and need to buy multiple items, choosing from our range gives you the flexibility to mix and match with your existing decor. 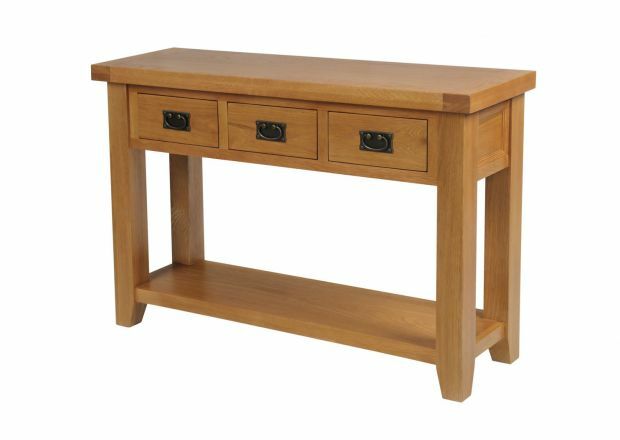 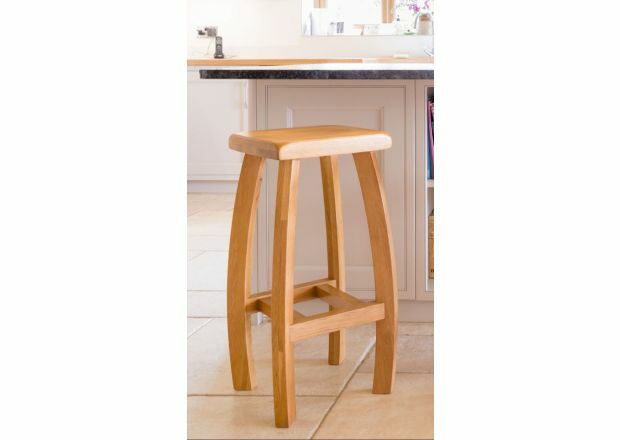 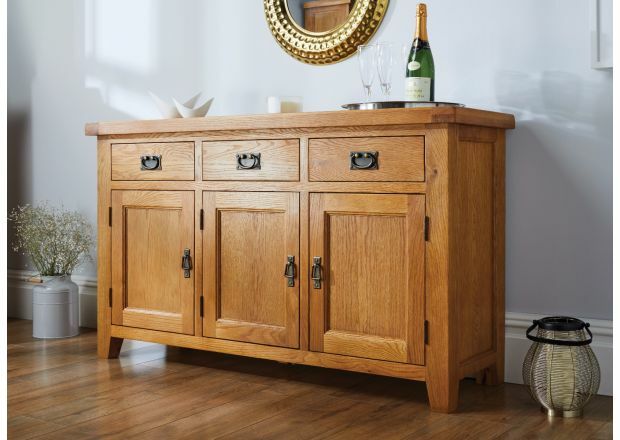 We don’t do ‘cheap’ oak furniture, we do premium quality oak furniture at excellent prices, and this value for money becomes even better when you shop our clearance furniture. 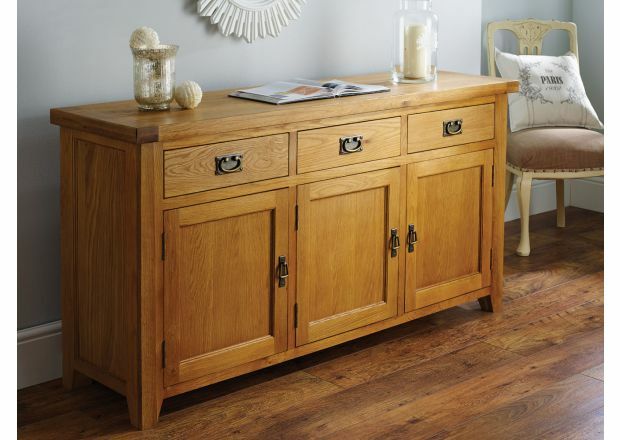 Some of our discounted furniture is priced with more than 50% off the full ticket price, making it the perfect way to furnish your home with stunning solid oak furniture at a fraction of the full cost. 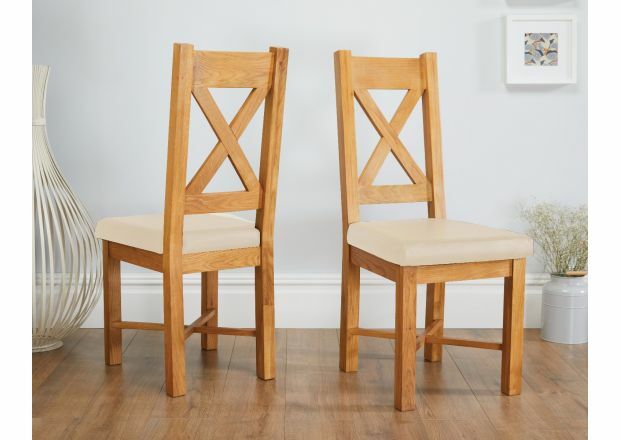 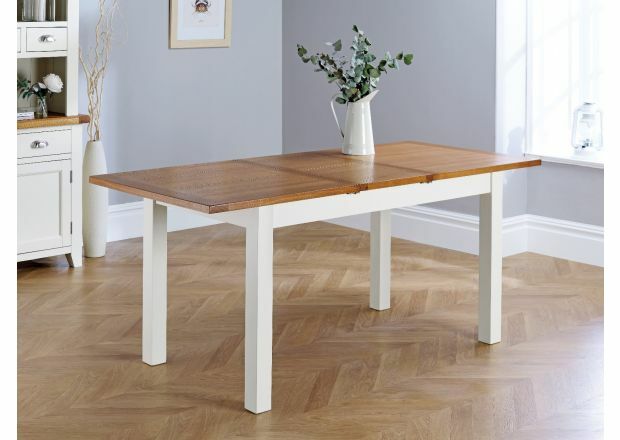 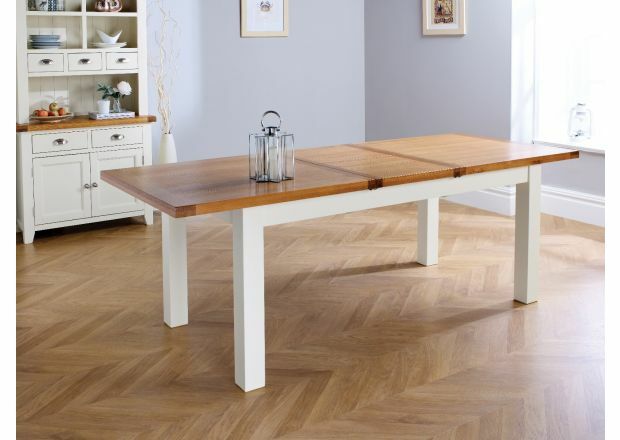 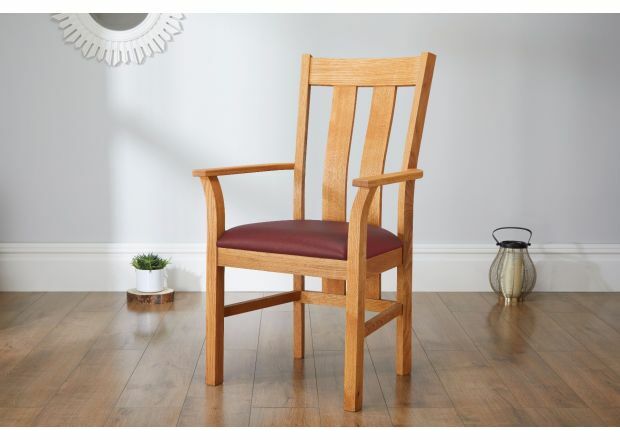 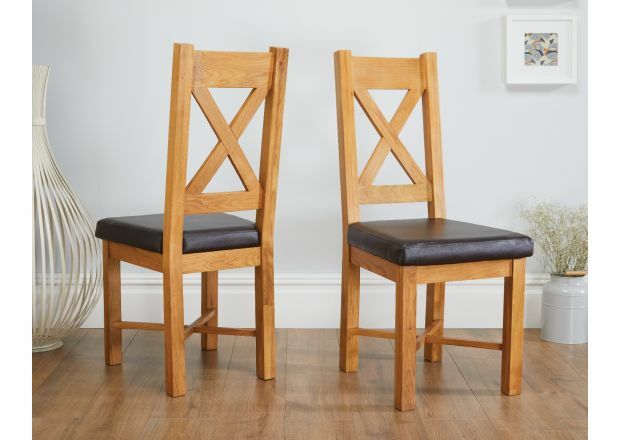 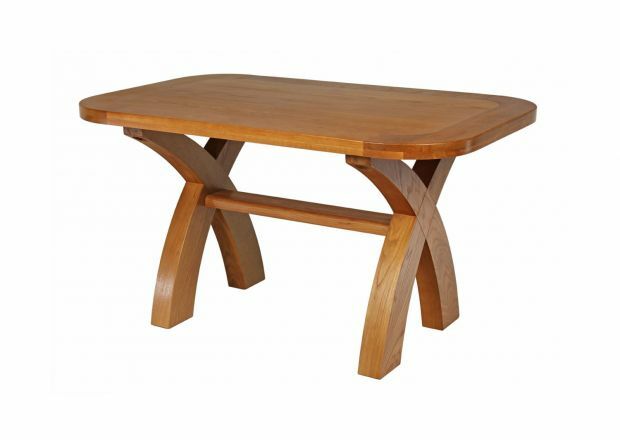 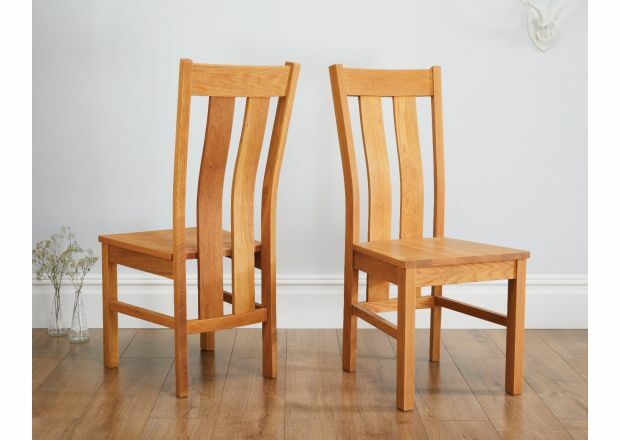 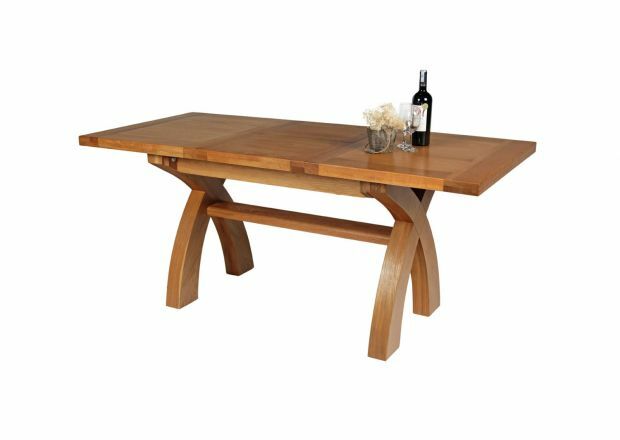 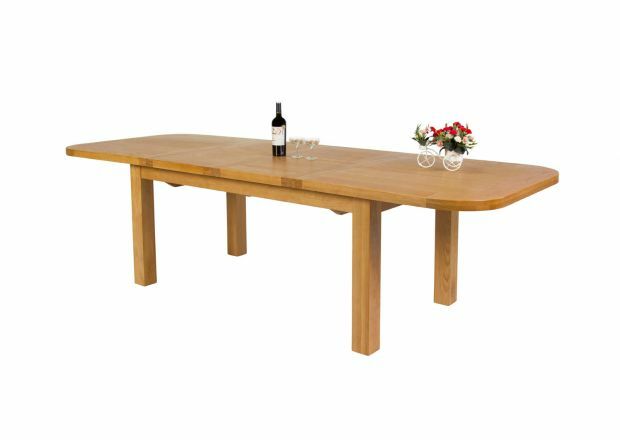 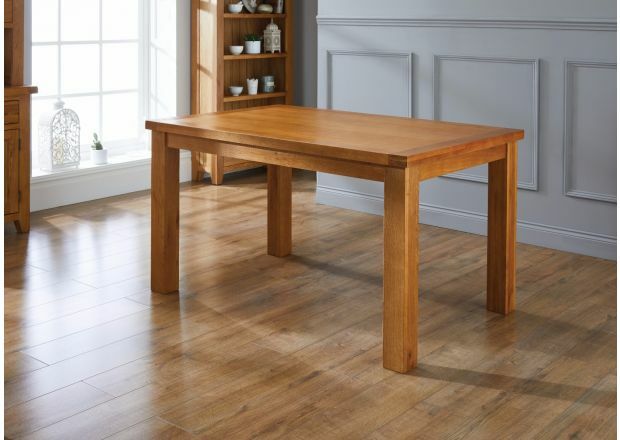 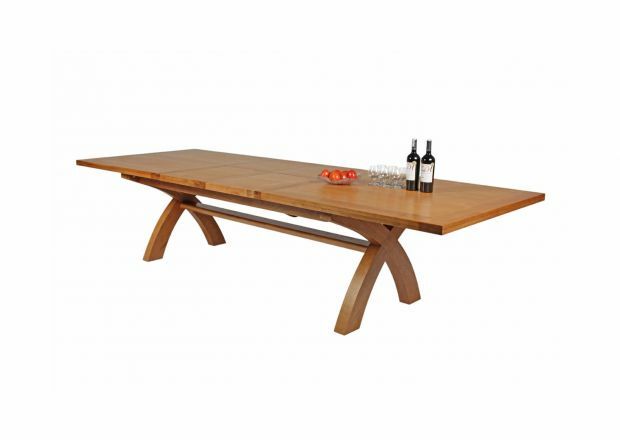 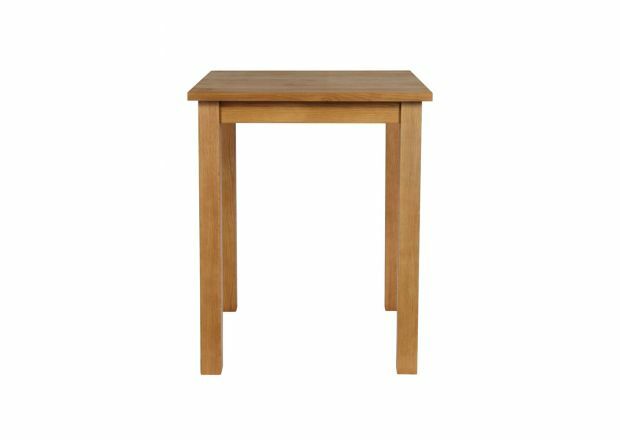 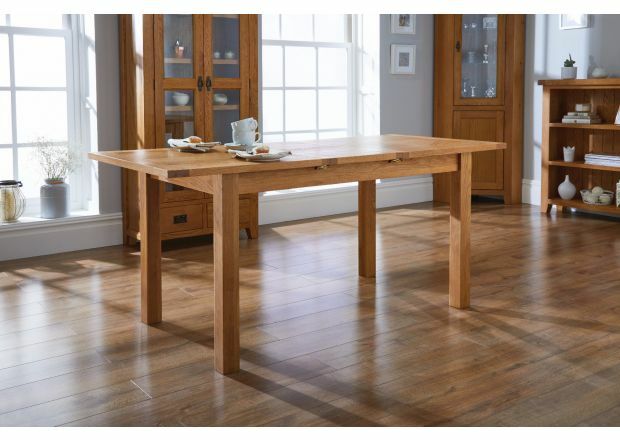 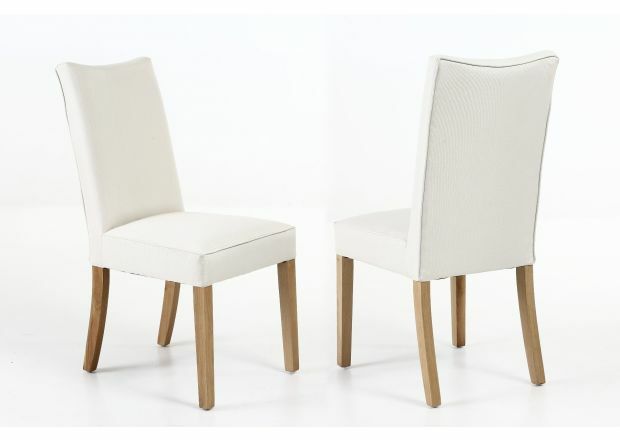 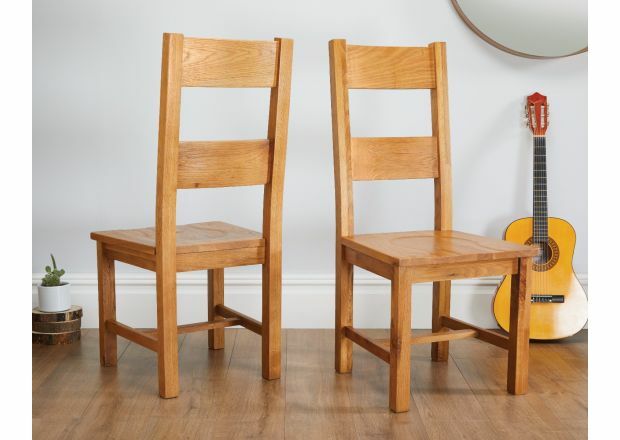 The range of quality, cheap oak furniture that we have in our clearance section includes gorgeous dining tables and chairs which will complete any dining room. 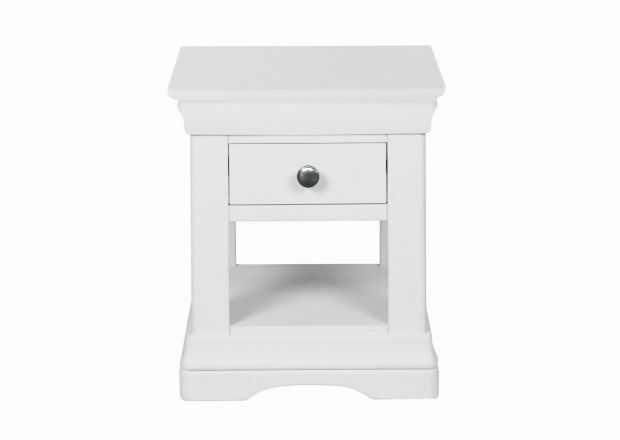 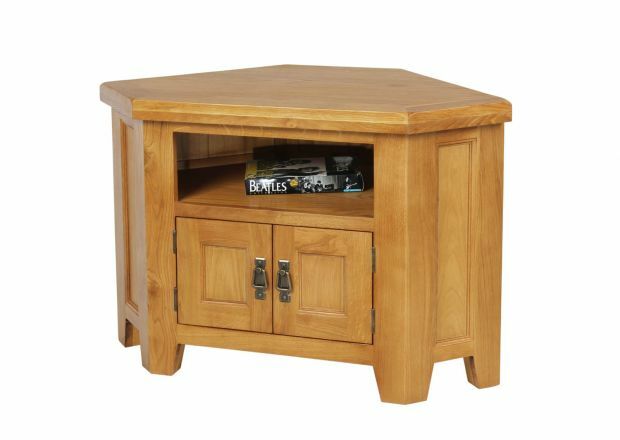 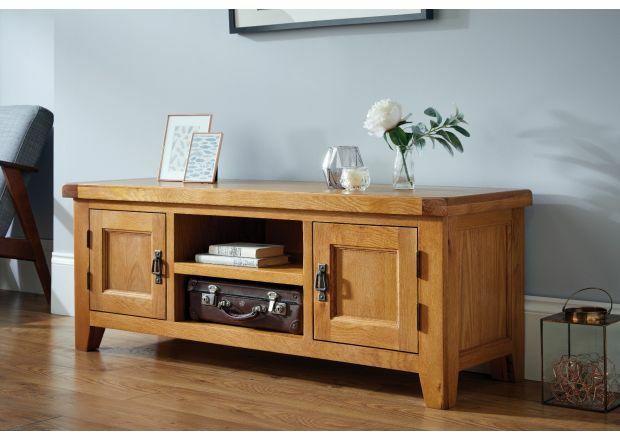 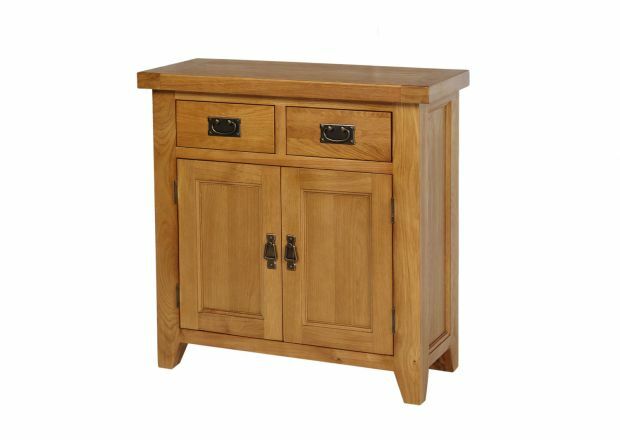 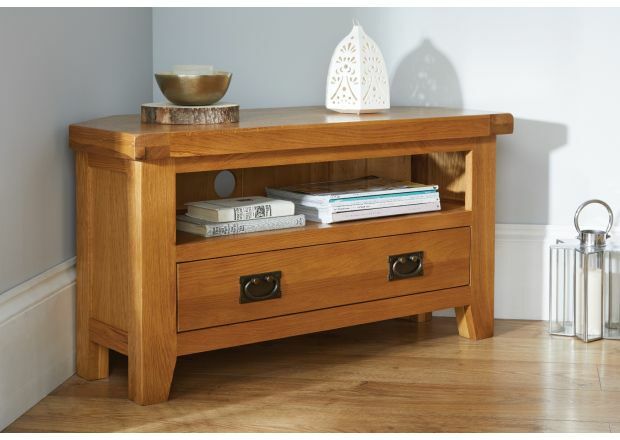 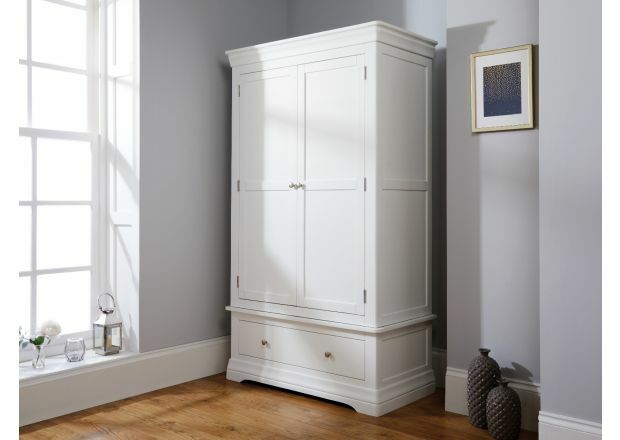 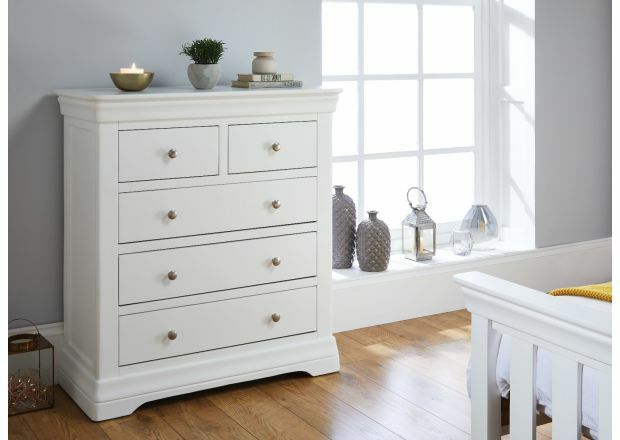 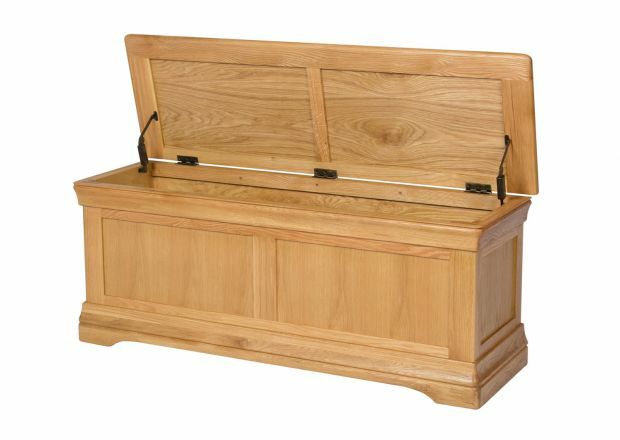 There is also a selection of cheap oak furniture for the lounge, including TV stands, bookcases and sideboards, and bedroom furniture including solid oak chests of drawers. 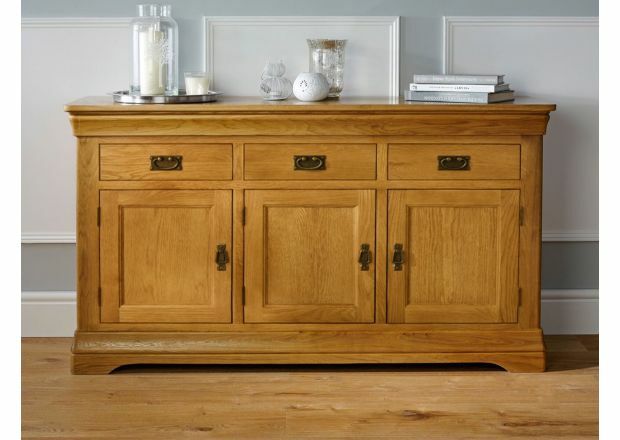 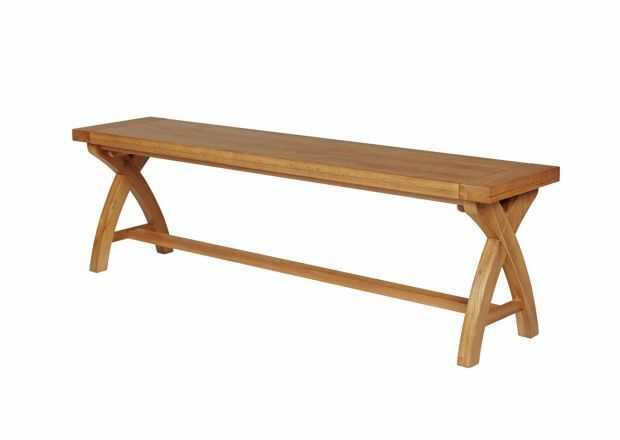 There are plenty of reasons to choose oak furniture for the home, some of the main ones being that is incredibly tough and long lasting and is prized for its handsome, densely packed grain. 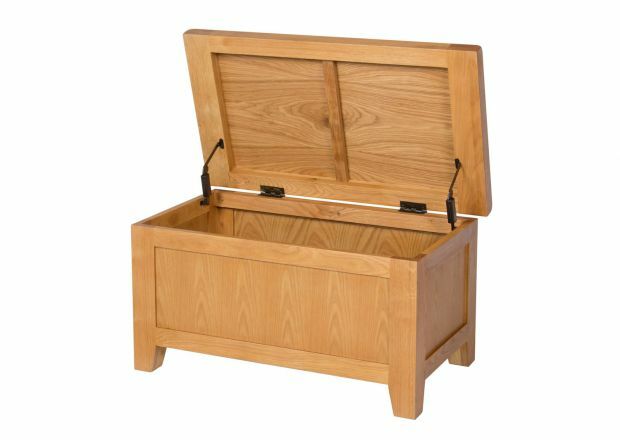 Furthermore, thanks to the density of the grain it is naturally resistant to damage from moisture, insects and fungus. 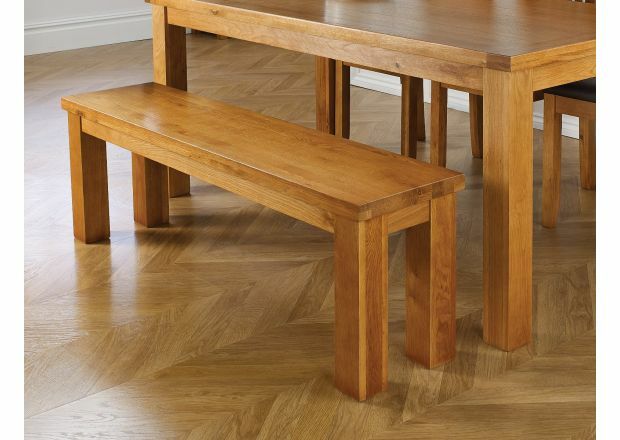 Though it is a low maintenance option for the home, there are a few things you can do to make sure it is looking its best. 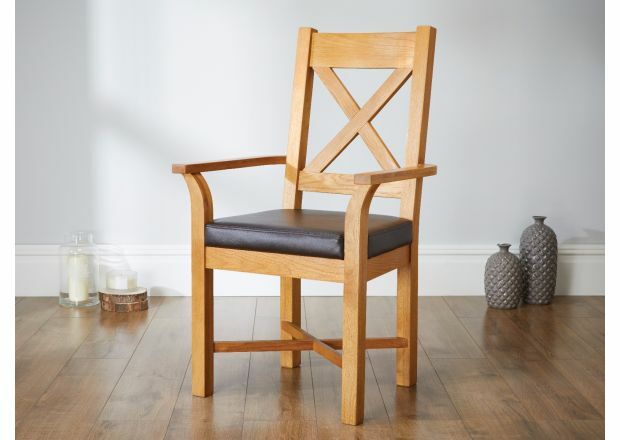 To learn how to best care for your brand new oak furniture, take a look at our online guide or get in touch with us.